HOMEClasses Fitness Groove Room NewsZumba® Step is Coming….And So Much More! We’re very excited about the new classes we are currently offering and those that are coming soon!If you haven’t noticed, the morning schedule at the Groove Room has really picked up, including a variety of Zumba®, Zumba® Sentao and Zumba® Gold classes now on the schedule! Our Barre Fitness and Barre Bootcamp classes have also become very popular, so be sure to check them out if you’re looking at bringing some balance to your weekly workouts and strengthening, lengthening and toning those muscles! One class that we’re very excited to bring you is Zumba® Step, which brings you all the step toning and strengthening for your legs and glutes, while incorporating the Zumba® fitness-party fun you already love! A few of the Groove Room instructors are getting certified later this month and we look forward to bringing you this awesome new workout as early as April! 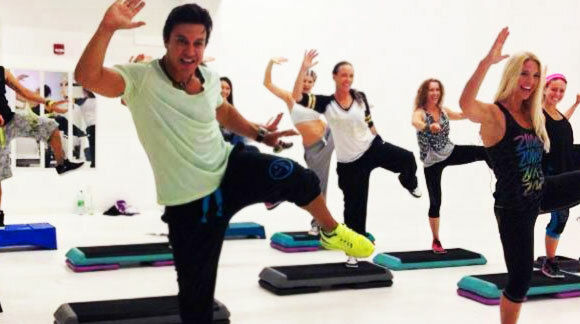 2,489 Comments to "Zumba® Step is Coming….And So Much More!"